The guest house is named after the succulent plant Lapidaria spp, meaning the rose of the Karoo. 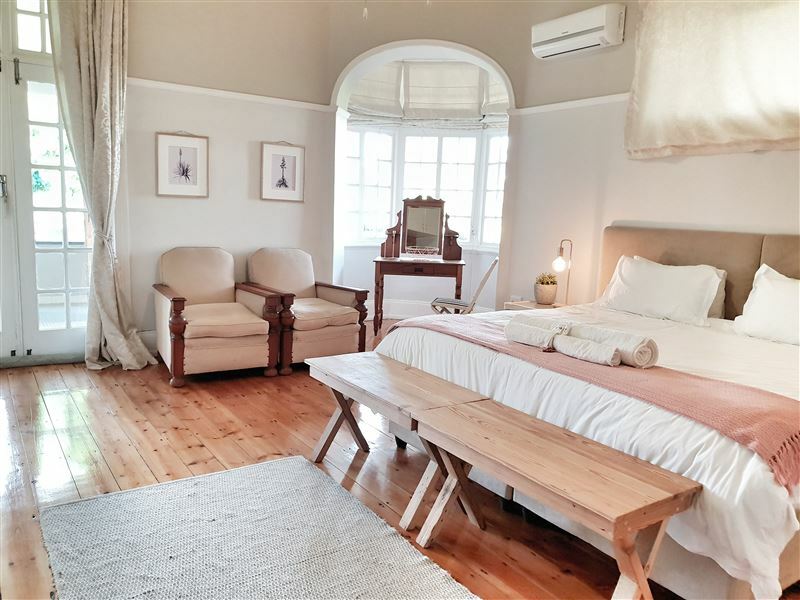 It is situated in the little town of Willowmore in the Eastern Cape, providing warm and friendly service.<br /><br />We offer three tastefully decorated rooms in a colonial vintage style. All the rooms have private entrances, tea and coffee facilities, air-conditioning and TVs.<br /><br />There is a pool table and a fireplace where guests can relax or socialize. Guests can also walk through the beautiful garden or play a round of tennis on the private court. Pets are welcome by prior arrangement only.<br /><br />On request, we can arrange trips around town showing everyday lifestyles and farming practices of the Karoo. "Die gastehuis en eienaars maak mens lief vir die Karoo en sy mense. Vriendelike ontvangs, pragtige ruim en skoon kamer en badkamer, gerieflike bed, smaaklike ete en die huis is gevul met oudhede wat mens terugvoer na vervlo dae. 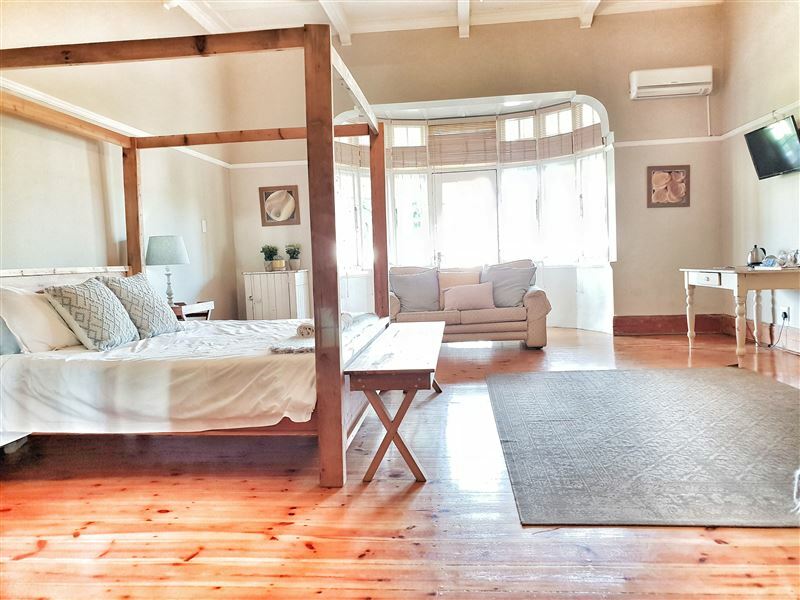 Niks is te veel moeite vir die eienaars; ons sal defnitief weer daar kuier en beveel mense aan om nie eers verder te soek vir verblyf in Willowmore - bespreek by Lapidaria :-)"
"A welcome smile and a Large comfortable room"
"Such a lovely old guest house full of interesting and original objects. Greeted by owners Made very welcome offered dinner too. Very comfortable clean room. Will definitely visit again. Thank you"
"Beautiful surrounding with old world charm! Excellent Food!" "After a long day on the road, we were welcomed by the charming owners who served us an outstanding dinner which was served on their relaxing stoep! Picturesque! Highly recommended!" "Lekkerste aandete en ontbyt!Vriendelikste mense!Netjies netjies netjies!" "What a lovely old house! The staff were super friendly and even arranged for a lovely lunch. The room was very comfortable with loads of space. Truly a hidden gem!" "After a long day on the road we had some real "kontreikos "home cooked ,and just what was needed .No searching for a restaurant, and our little Dachshund was more than welcome.A beautiful house set in a lovely garden.King size bed and crisp white linen, the walk in shower is just the thing for us senior folks. Driving through the lovely Camdeboo lifts your spirit ." "Mooi ou huis, smaakvol ingerig. 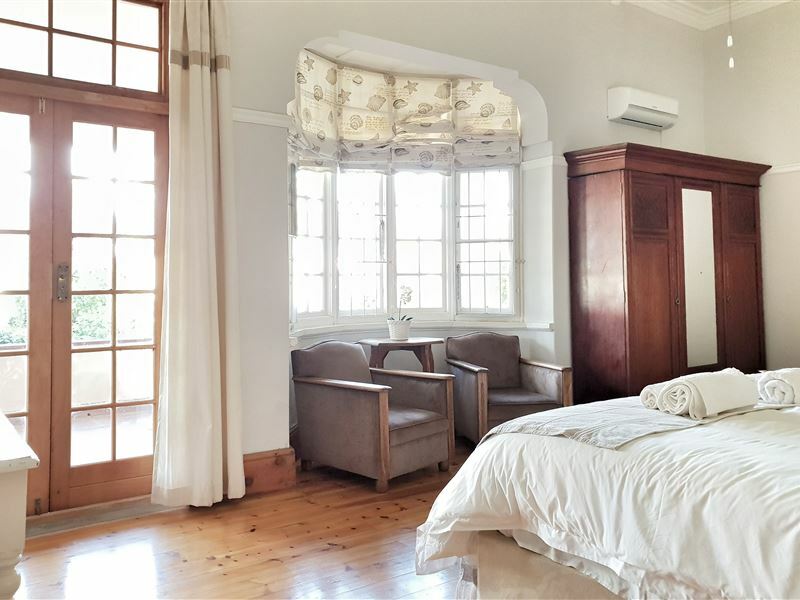 Groot slaapkamer met lekker bed en stort en DSTV met Kyknet kanaal. Uiters skoon en netjies. Lekker ontbyt. Sal beslis weer daar oorbly en kan dit aanbeveel. Gasheer, Hennie en personeel is baie vriendelik en hulpvaardig"
"Dit was amazing, ek was eintlik hartseer om weg te gaan, en die huis self is ongelooflik mooi, mooier as die foto&apos;s!! Baie dankie julle, julle vriendelikheid is kosbaar!!" "Hennie is a very gracious host. The Guest house is clean and quaint and very comfortable. They are pet friendly so our lab enjoyed the beautiful garden which he could run around in. The food was simple but delicious. I would recommend a night here as a stop over." "We had a most enjoyable stop-over at Lapidaria - wonderful accommodation and excellent evening meal - the breakfast was also very good. Very friendly hostess."